Serving the Ottawa area, our selection of 174 saunas and do-it-yourself sauna kits supply the sauna needs of the Ottawa region. We are the only sauna manufacturer that offers 3 levels of pricing for sauna kits for every size, to provide you with - economy, mid-range and "the best" - all at factory prices! Home Saunas Since 1974 serves the Greater Ottawa area, Gatineau, Nepean etc. with sauna products at factory prices to suit any budget. This is the best selection of made-in-Waterloo sauna kits, sauna heaters and sauna products found on the internet. Get Factory Prices! ... Read More >> Best Ottawa Sauna Prices Ever!!! With a prebuilt or prefab sauna kit, you can enjoy your indoor sauna the same day it arrives in Ottawa! All of the carpentry has been done for you - just follow the simple assembly requirements of joining the panels together. Then let the electrician hook-up the sauna to 240 volt power! Our Low Ottawa Sauna Prices mean Big Savings! Many people have space in their backyards for a ^Finnish sauna outdoors, or a ^prefab outdoor sauna. Is there room for a ^traditional sauna at the cottage? All with easy assembly. Tags: ^Ottawa outdoor saunas, ^Ottawa outdoor sauna kits. Our sauna heaters are used for dry saunas, wet saunas and indoor saunas. Sauna heaters and stoves are available separately. 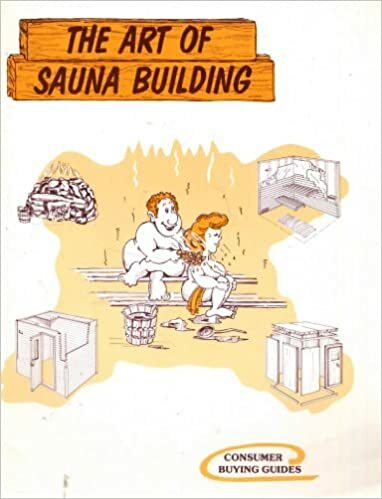 And a BONUS: we include our acclaimed best-seller sauna book, "The Art of Sauna Building", FREE to make sure your indoor sauna building project in the Ottawa area is successful. Canadian Brands include Homecraft, Saunacore, Fenno, etc. Heater Specials! Read More >> Best Ottawa Prices!! Using our Sauna-Guru's indoor sauna plans & sauna designs from "The Art of Sauna Building" will mean your sauna building project in the Ottawa area will be a great success. Remember, great saunas starts right here with an authentic Finnish sauna design. Our master sauna designer, Pertti Olavi Jalasjaa, comes from Finland. He is the acclaimed author of the best-seller sauna book, "The Art of Sauna Building". Since 1974, over 65,000 saunas have been installed by our customers in Canada, Ontario, Ottawa area and USA! "The Sauna Factory Serving Ottawa With Everything in Sauna Kits"